Or, Gus as he’s better known. I know you may think he’s an odd choice for today, but I just couldn’t pass this little guy up. For you see, if you remember this blog is called Writing for Murphy, in honor of one of my dearest friends. Before we met, when my Aunt’s dogs had just given birth to him, she named him Gus-Gus, because he was a little chunky and just a little different from the others. Needless to say, Gus has held a special place in my heart ever since. Gus made his big screen debut in the 1950 Disney Classic, Cinderella, alongside his best friend Jaq. The two have been inseparable ever since, making appearances in both seqeals, Cinderella II: Dreams Come True and Cinderella III: a Twist in Time. In the latter he and Jaq have a delightful scene where they get Prince Charming to refer to Cinderella as “Cinderelly“. The duo have proved their popularity is timeless, they made several cameos in House of Mouse, as well as in Cinderella comics. They even went on to be in their own comics alongside some of the heavyweights like Mickey and Donald. The most popular one being comics during the ’50s starring, Donald’s paternal Grandma, Grandma Duck. 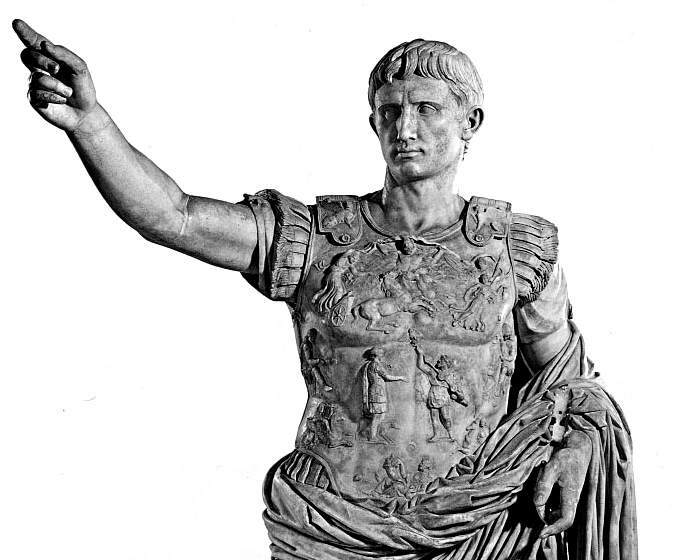 Octavius’ nickname Gus is believed to be named after the private name for Roman Emperor Augustus.